Carbon emissions are believed to be the biggest culprit of climate change which is feared to seriously affect all life on earth including humans without an immediate action to reduce greenhouse gas emissions. The UK Government is aware of the danger climate change is posing and is more active in carbon footprint reduction both at home and abroad than the public is aware of. 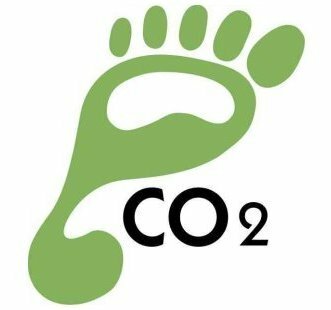 The main goal of the national carbon reduction strategy is of course to reduce emissions of carbon dioxide and other greenhouse gases to the minimum in order to achieve the goals set in the Climate Change Act 2008 and reduce the effects of climate change. But the national carbon reduction strategy will also help the UK to reduce its reliance on imported fossil fuels and make the UK’s economy less vulnerable to high fossil fuel prices and eventual energy crises in the future. Carbon budgets. These restrict the total emission of greenhouse gases in the UK over a period of 5 years. If the emissions increase in one sector, the Government will have to find ways to reduce them in other sectors in order to meet the allowed total amount. The EU Emissions Trading Scheme. Like its name suggests, the EU Emissions Trading Scheme covers the entire European Union and it is the largest approach to controlling emissions in the world. It works by limiting the volume of emissions by charging their volume. 2050 Calculator. It shows the progress of the national reduction strategy but it also allows prediction of the outcome of various carbon reduction strategies. subsidising investments in green technologies and solar power. in order to increase the use of low-carbon technologies and prevent inefficient use of energy such as poorly insulated buildings which are responsible for more than 40 percent of the UK’s emissions. The Government is of course also providing funding for innovation and research but it is also encouraging public reporting of carbon emissions particularly in the Capital which helps asses the progress and forces organisation to use energy more efficiently.